Looking for a quick fix to fill a blank wall? 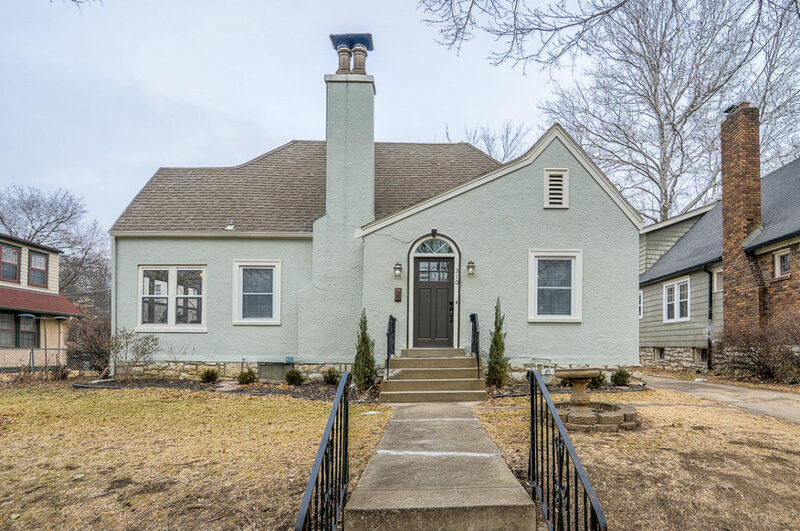 Have a look at this easy, inexpensive project Jessica made this week for an upcoming listing. A few inexpensive frames, a filler and you’re good to go! 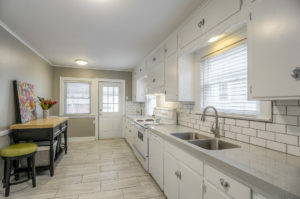 For this home, she wanted something neutral and understated, but this project could easily be done with wallpaper or other media to add a fun pop of color to a home as well! We live in a city overflowing with local talent. Known for amazing food, Midwestern friendliness, rapid growth and a booming art scene, KC embodies a diverse community that makes this town so special. You see this everywhere with the emergence of more craft eats and drinks, local boutiques and murals popping up across town. 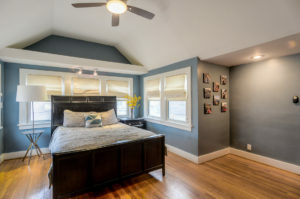 The color, creativity and fun comprise the personality that is KC! 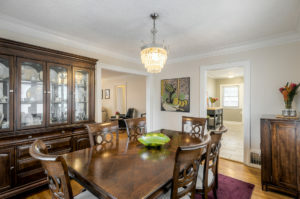 We tour amazing homes every day. The ones that standout most are those filled with character and personality. 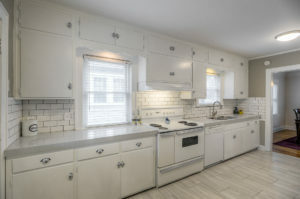 Often character is in the form of period architecture and design elements. 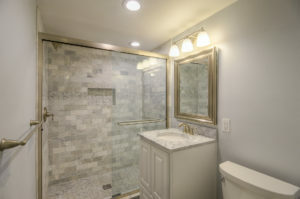 But, it can be added to ANY house through design choices and décor! 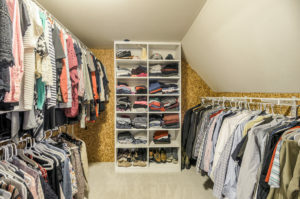 Showcasing things you love, unique items and a bit of color will make your house a HOME. 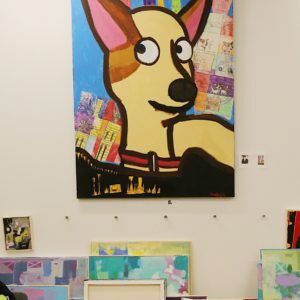 We enjoyed this post on Made in KC Explore that features a group of vibrant local artists – JCDS Emerging Artists – a program started by Johnson County Developmental Supports and then expanded to the Art and Heritage Center. Take a minute to give it a quick read and learn more about this group that shows art locally! According to the blog, their next appearance will be in September at the De Soto Sunflower Art Fest. If you haven’t, check out First Fridays in the Crossroads (tomorrow! ), it’s another great opportunity to shop local art. Or, visit the many galleries around the metro, or make your own! There’s nothing more personal than showcasing art made by your family. This can be art made at home, school or at a studio, like Wolf Creek Art Studio. 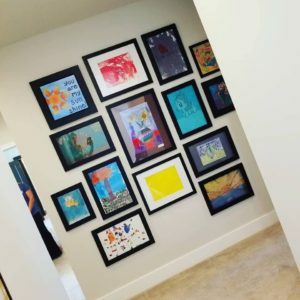 Use your art for a standout gallery wall, like this one from the Braden’s Hope Home Tour in The Farm at Garnett Hill in May! 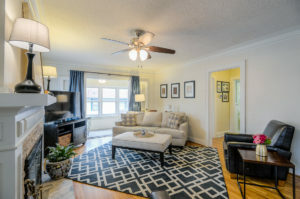 Need some tips for hanging art? Here’s a quick guide from Apartment Therapy to help! We have a Bungii discount for you! Big stuff? Small car? No problem! Bungii is your friend with a truck who can be summoned at the tap of a button! 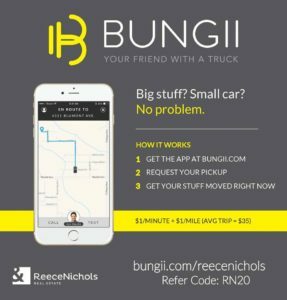 Download the Bungii app and use the ReeceNichols referral code, RN20, to receive 20% off your first trip! This service is perfect if you’re out shopping and find a must-have purchase that is too large for you to get home. Or, if you have a couple larger items you can’t haul yourself for a move. You’ll get your quote upfront and will be able to track your truck along the way! We love fall in KC! The weather is mild, there is gorgeous color around town and it’s the perfect time to get cozy at home before the holidays. Here are a few of our recent favorites to incorporate the feeling of fall inside your home! 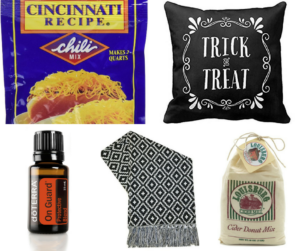 Cincinnati Recipe Chili Mix: There’s no better meal for a cool evening than chili. Take a twist on this traditional favorite and give Cincinnati try! You can order a 6-pack of the spice mix on Amazon and it couldn’t be easier to make. You just add the mix, water, tomato paste and uncooked ground beef to a pot and let time do the rest. Serve it over spaghetti with shredded cheese for Three-Way or make Coneys! Essential Oils: If you don’t have your pumpkin spice candle burning already, we bet you will soon! Essential oils are another way to provide seasonal aroma to your home in a safe way that can also promote wellness. Right now, we’re loving On Guard from doTERRA. That name might not sound like fall, but we promise it has a nice scent with hints of orange peel, clove bud and cinnamon! The smell is great, but even better, the oil provides a natural alternative for immune support. Hello, flu season! You can diffuse it or even use it diluted as a surface cleaner or hand cleanser. Ask our friend and client, Lynn Salzman, to learn more about how the oil can help protect your family this season. Halloween Pillows for Your Porch: Add some whimsy to your outdoor space with this fun Halloween design. At $8 a pillow, this is an expensive way to bring a bit of Halloween home. Simple and classic this design can be used year after year, even as you adjust your Halloween décor. The pillows can be used indoors as well! Other designs are available at the link. Louisburg Cider Donuts & More: Love cider donuts, pumpkin butter and cider spices? Cozy, cozy, COZY! If you can’t make it out to Louisburg Cider Mill this year, no worries. You can order the flavors of the season to be delivered to your door! They even sell a donut pan to make their popular donuts at home. You’ll find fun holiday gift ideas online, too! Outdoor Throw: Fall evenings can turn crisp fast. Here’s a good-looking outdoor throw from Target to keep you warm around the fire pit! The black and white pattern will compliment most décor and adds a pop of style. And it’s 60-in. by 50 in. – plenty of room to snuggle up in!